Smoketree Landscape designs and builds exceptional outdoor spaces, but our ultimate goal is to create ... a feeling. Each time you view your landscape, we hope that you will experience the pleasure, pride and peacefulness of the beautiful, natural architecture Smoketree Landscape has created for you. 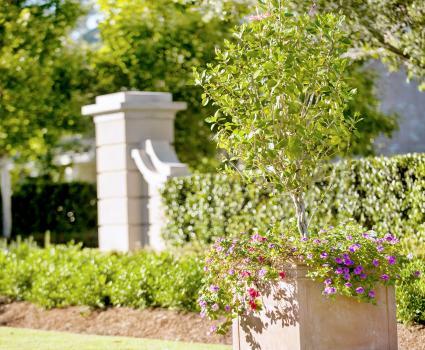 From large-scale projects to single-family yardscapes, our approach remains the same. Each job is truly custom designed. There are no cookie-cutter solutions. 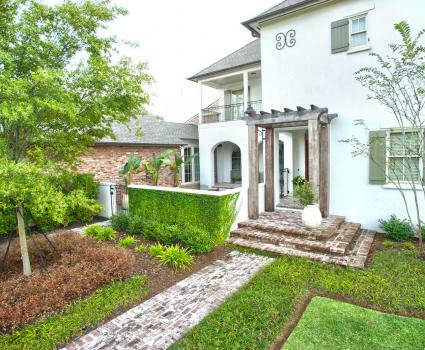 Our on-staff landscape architect will consult with you, listen to your desires, guide you and design your perfect plan. We want to know how you use the space, how you live and what pleases you. We’ll create a design proposal that is perfect in both form and function. We carefully consider every aspect of the project, especially drainage, irrigation and infrastructure. 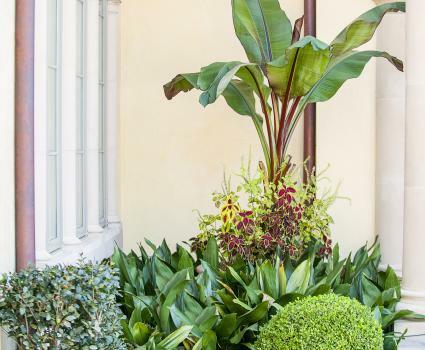 Although not immediately visible, these are crucial to the long-term success of your landscape. 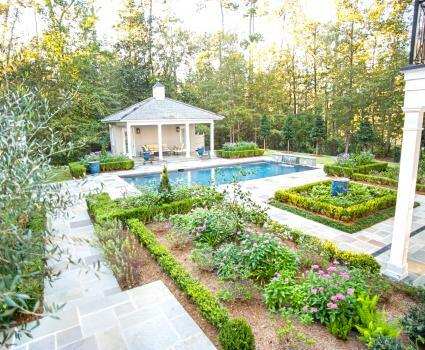 We’ll select the perfect plantings, design hardscape and lighting options, plan for the landscape as it matures and even accommodate future desires, like a pool or patio expansion. 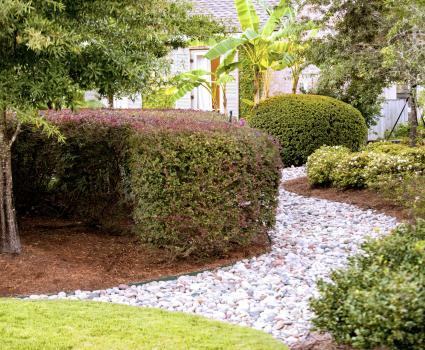 Throughout the construction of your landscape, we’ll respect your property and keep our workspace clean and orderly. We’ll arrive on time and complete your project on schedule and on budget. Creating a beautiful lasting natural environment is our job. Doing it perfectly is our passion. 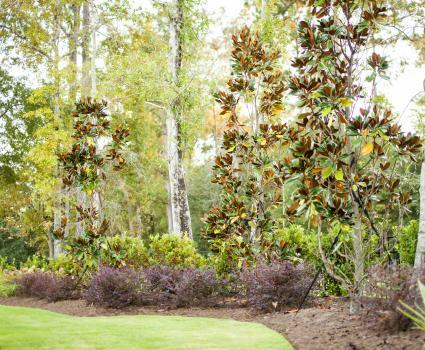 Smoketree Landscape chooses and installs only the highest quality plantings from trusted nursery partners. Your personal design plan will guide us in selecting the correct softscaping to create depth, enhance curb appeal and incorporate driveways, walkways, patios, pool decks and other hardscape elements. We are experienced in both new construction and renovation of existing landscapes for both commercial and residential design. Hardscape elements of design are the nonplant features that enhance your exterior living spaces. Paved walkways, walls, patios, pool decks, fountains, fire pits and containerized planting are all examples of hardscape. Hardscaping anchors your landscape elements and Smoketree specializes in creative and imaginative hardscape design and installation that is both pleasing and fully functional. Landscape lighting brings your exterior living spaces to life after dark while providing security and safety. 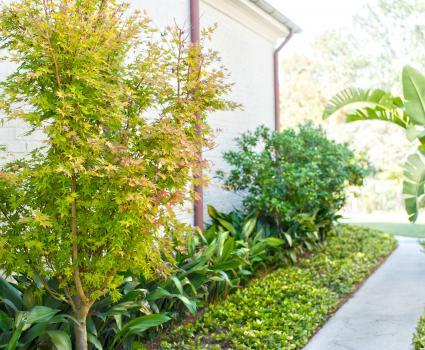 Smoketree artfully creates depth and definition in your landscape by illuminating and highlighting pathways, walls, containers and focal points in the design of your outdoor spaces. 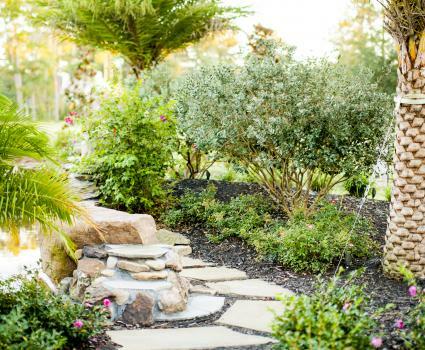 Proper irrigation is vital to ensuring your landscape design will thrive in the long term. Smoketree designs and builds every irrigation system to be flexible enough to properly care for your landscape now, and as it matures. Smoketree irrigation systems account for the different needs of each plant type, sun exposure, lawn spaces and plant maturity. Whether installing a new system or updating existing irrigation, Smoketree creates a system that is more than just sprinklers. We design a complete irrigation plan that will care for the individual needs of your landscape today and in the future. Smoketree is uniquely qualified to address the challenging drainage issues that are characteristic of this region. Local soil conditions and topography make drainage not only an aesthetic issue but crucial to the protection of your landscape and your property. We can design and build effective and creative solutions to channel water safely and correctly. Smoketree is experienced in creating drainage and water management plans to address the challenges of suburban growth areas. Smoketree’s monthly maintenance and care program is more than just a “lawn service.” We care for every aspect of your landscape and ensure that it always looks as good as the day it was planted. Our team-based service means your property’s needs are reviewed in advance and Smoketree arrives ready to address any concerns today, not next week. We adjust our schedule to meet your needs and are always prompt and reliable. Our unique scheduling system allows us to account for rain delays without missing a week and we’ll never mow your lawn when it’s wet. 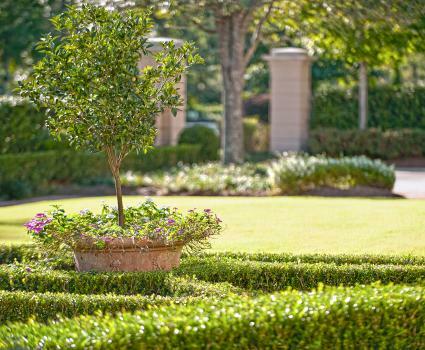 Our crews are trained to properly prune, fertilize, edge, mulch, install seasonal color and adjust your irrigation system as needed and requested.